Most of my forms are thrown. 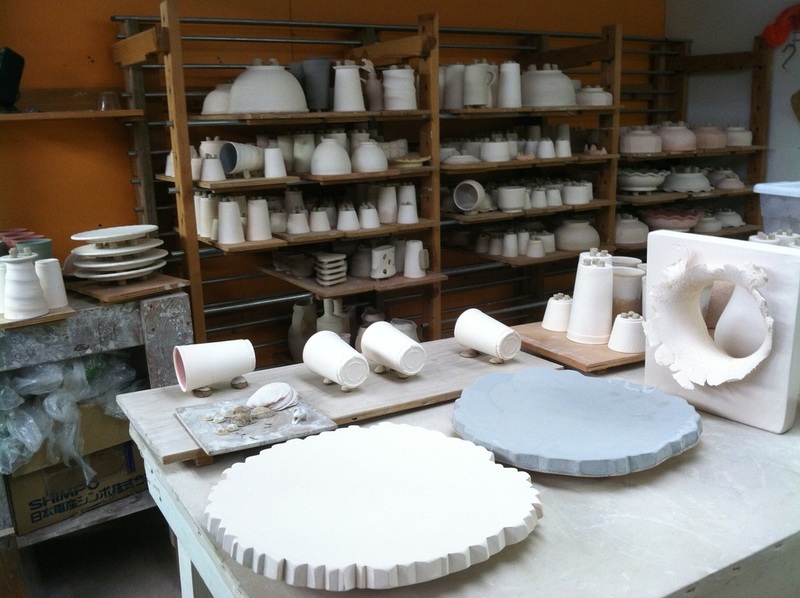 I use a variety of stoneware clays and porcelains. 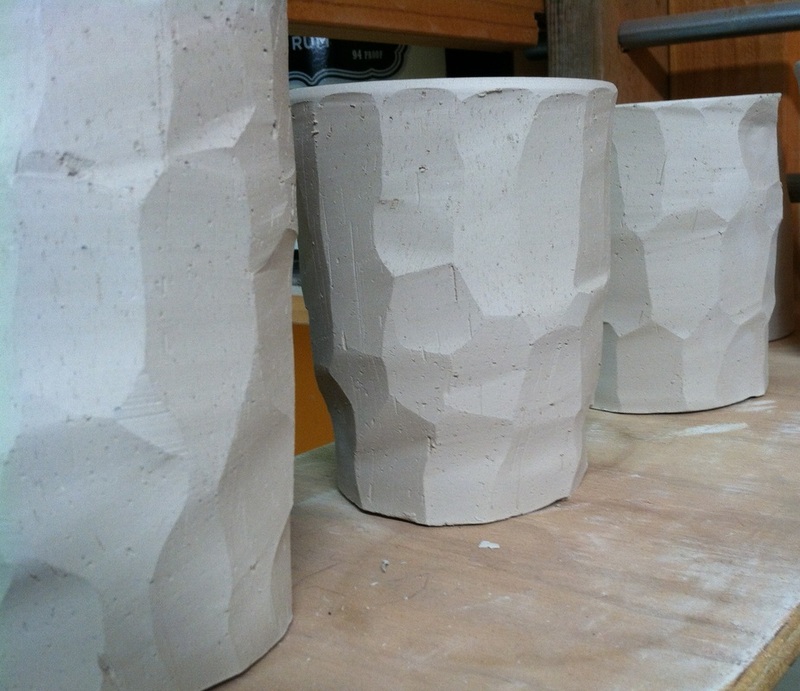 Pots are trimmed and some are carved with decorative rims and/or faceting. 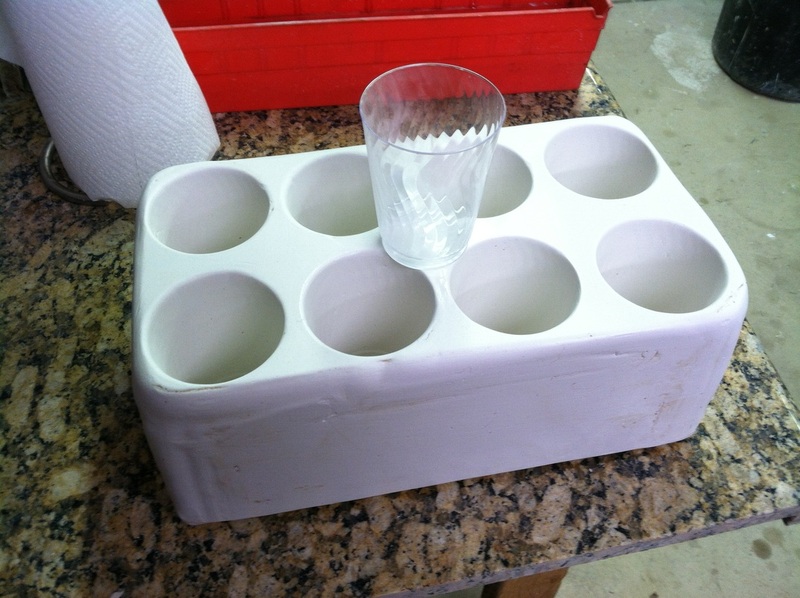 I cast pieces using a variety of hand-made molds. My casting slip is grolleg porcelain based. 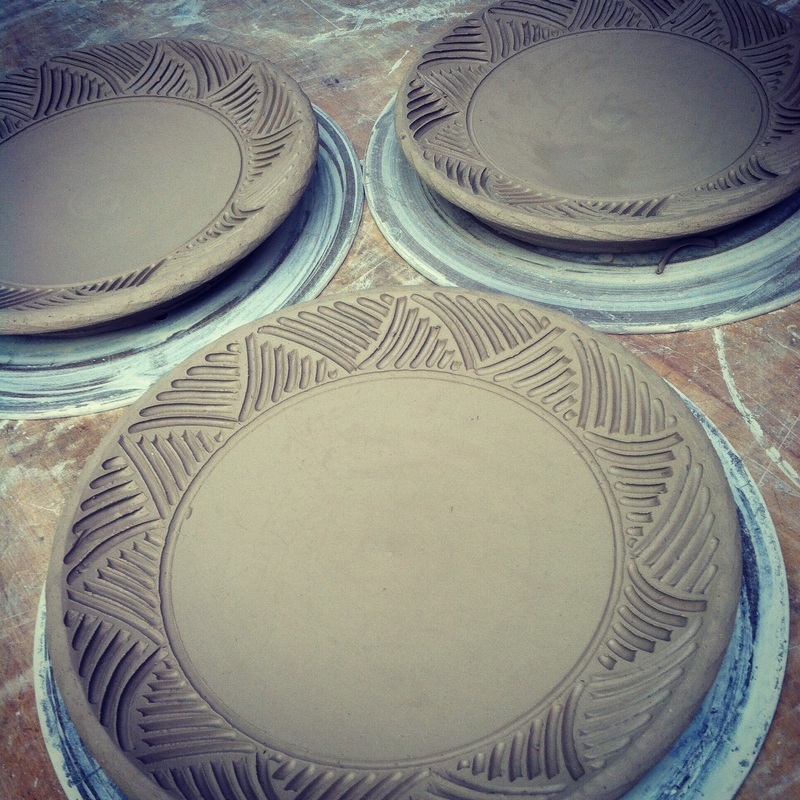 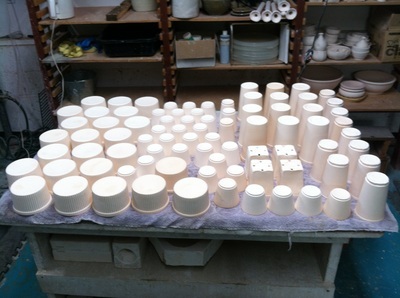 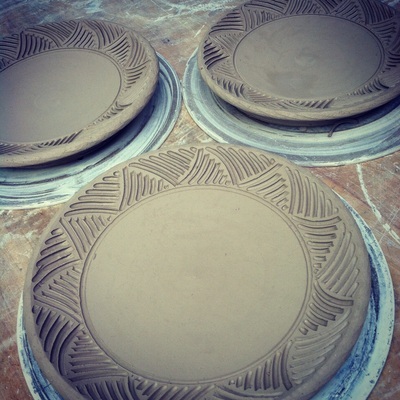 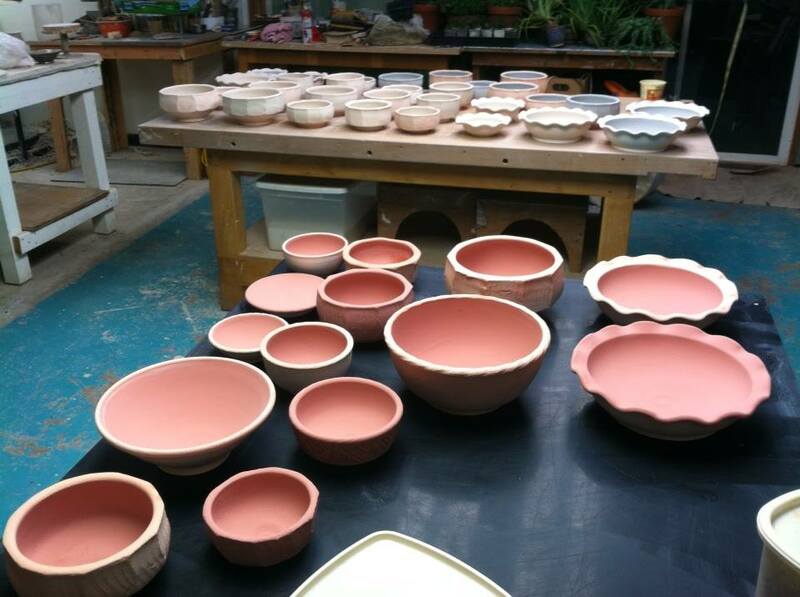 Pots are bisque fired, glazed and wadded prior to loading. 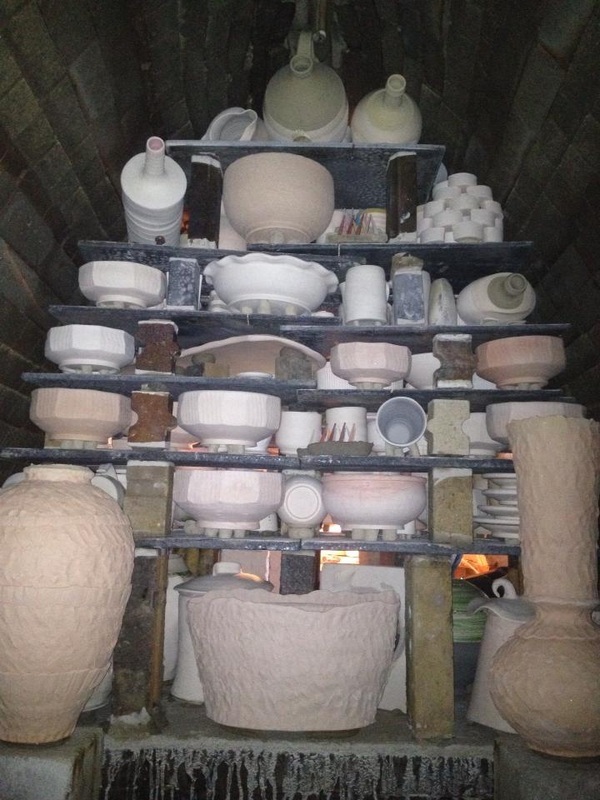 Click here for a video of the soda kiln being loaded. 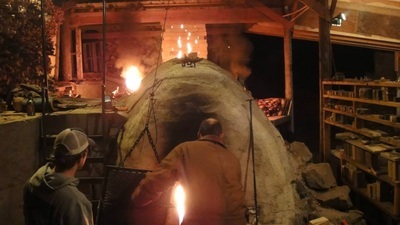 Panorama of the anagama being loaded (taken from the side door). 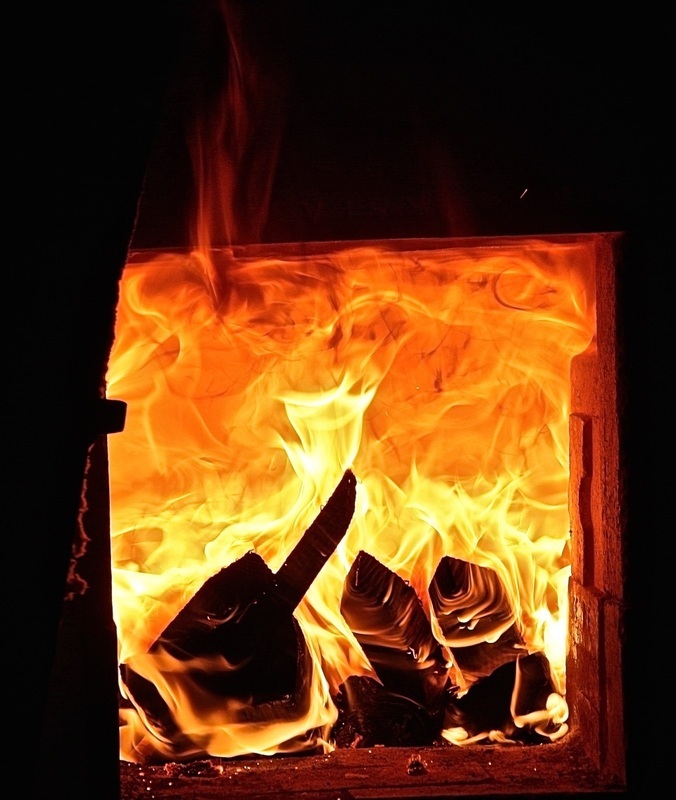 Photo by Spencer Dixon. 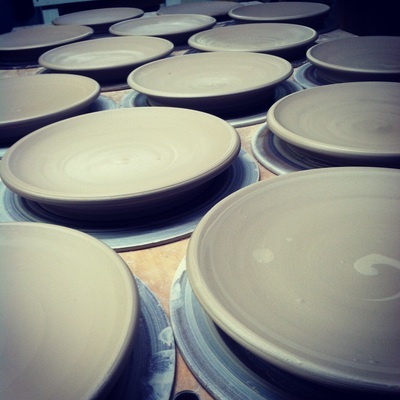 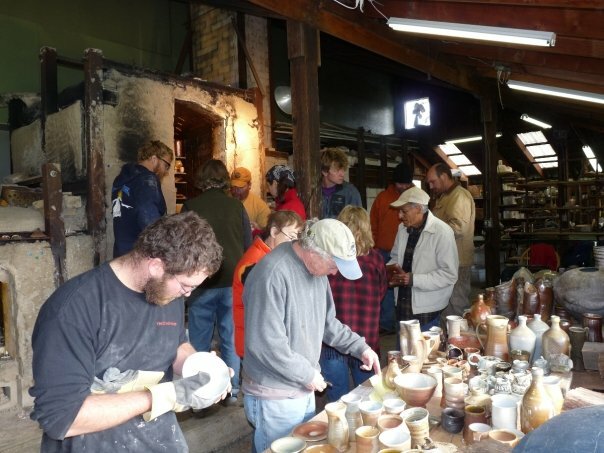 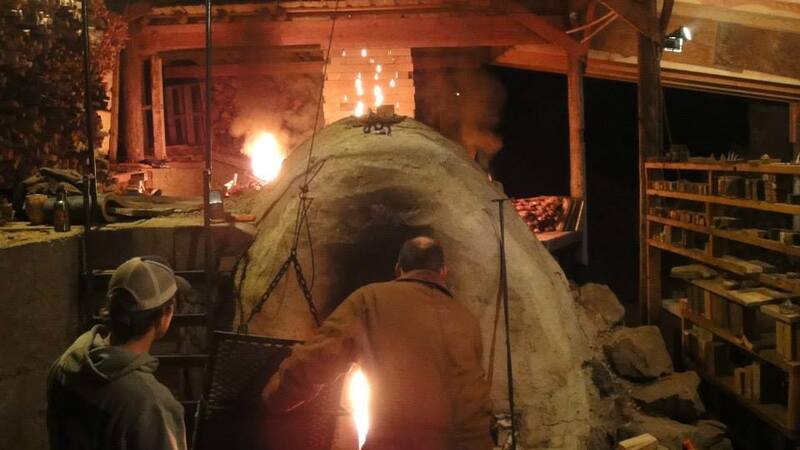 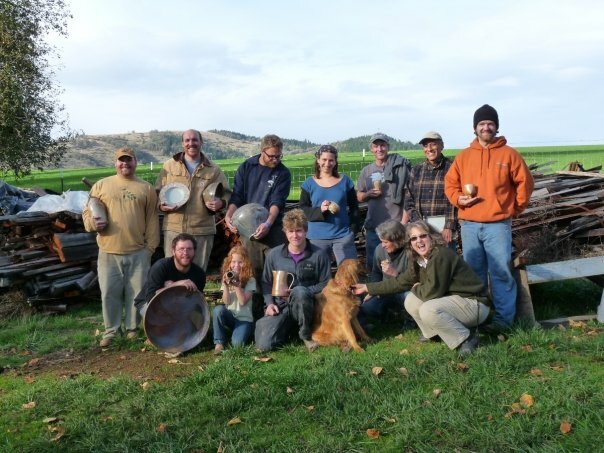 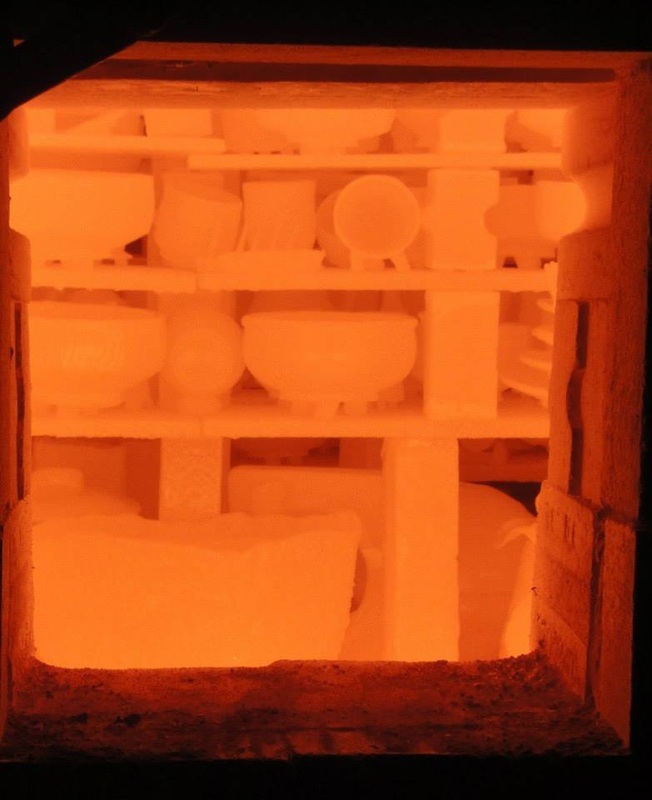 Firings range in duration from 24 to 130 hours, depending on the kiln. 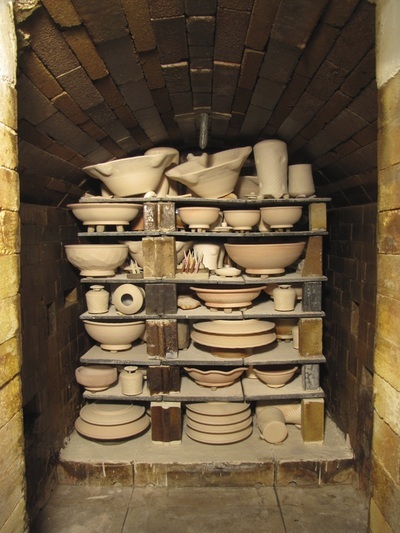 Wood is added to the kiln every 5-15 minutes around the clock. 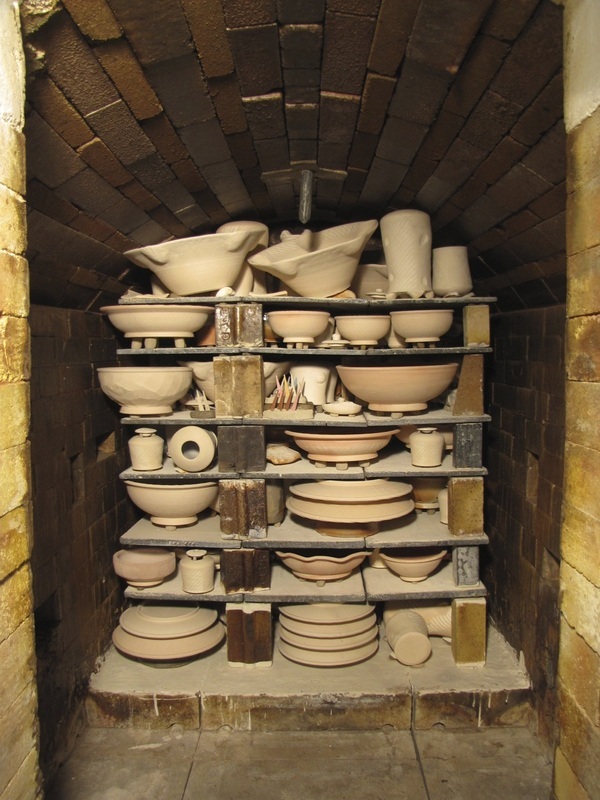 The kiln is then sealed up and allowed to cool for 5-15 days. 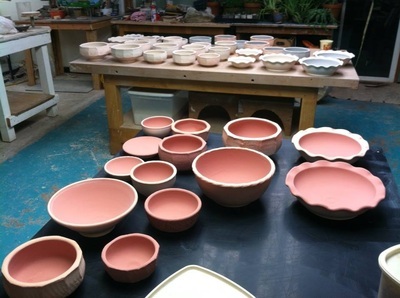 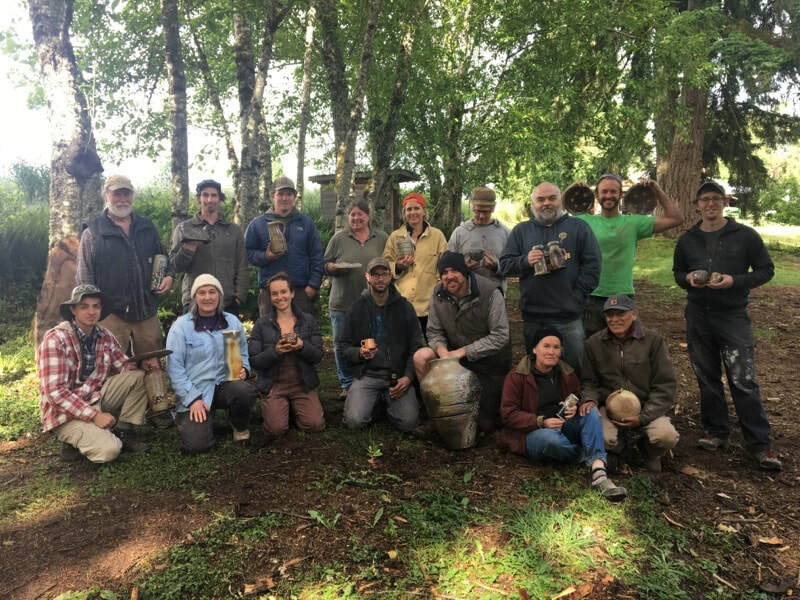 During the unload the pots are studied and admired - the location, surface, and interaction with other pieces are noted. 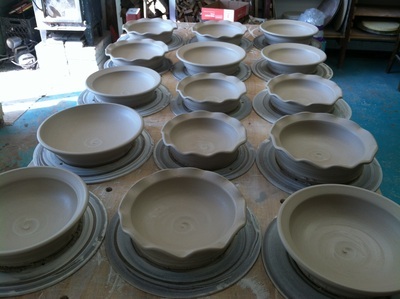 They are then cleaned and photographed. Our wood is sourced from three local mills. 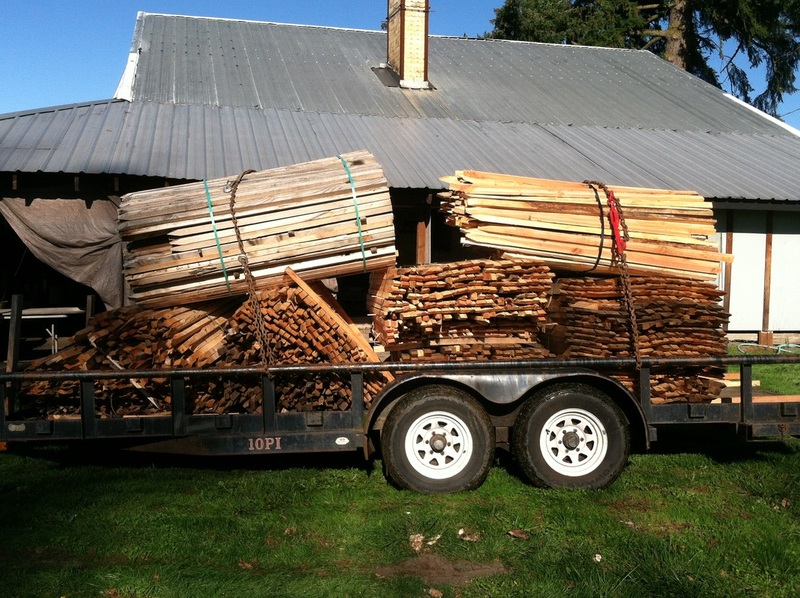 We use a mix of hardwood (walnut, oak, maple, alder and madrone) and softwood (fir, cedar, and cottonwod). 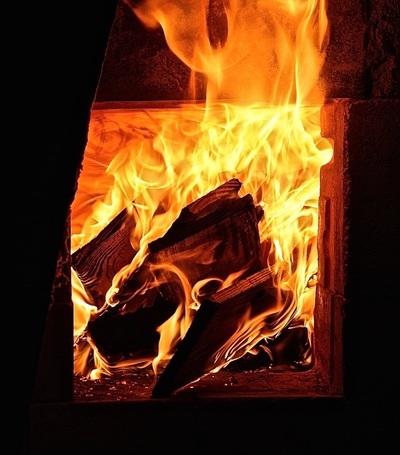 We burn 30-50 cords a year. 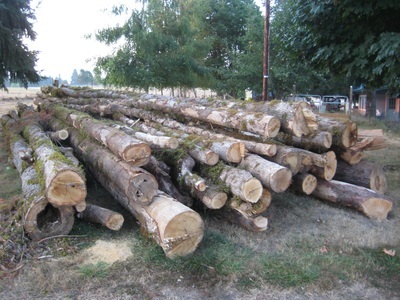 The wood is cut to length, split, stacked, and seasoned prior to use.